I bring you this slightly melted squirrel. 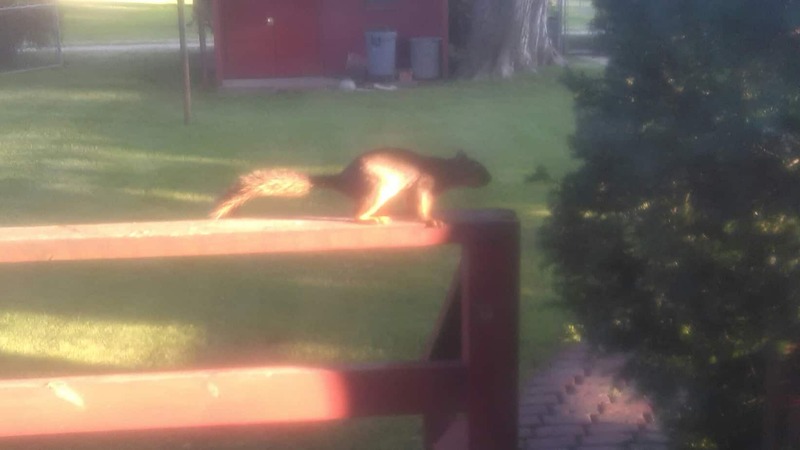 I’m not much of a wildlife photographer, so this took me three tries, and still came out a little blurry, but this is what the heat looks like these days. 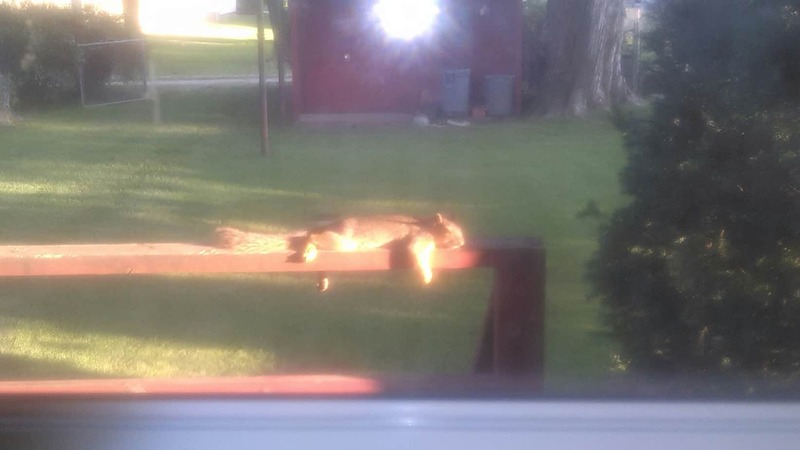 Apparently, this is the chosen sunbathing position for squirrels. They do it all the time. As soon as he noticed me, he ran off.